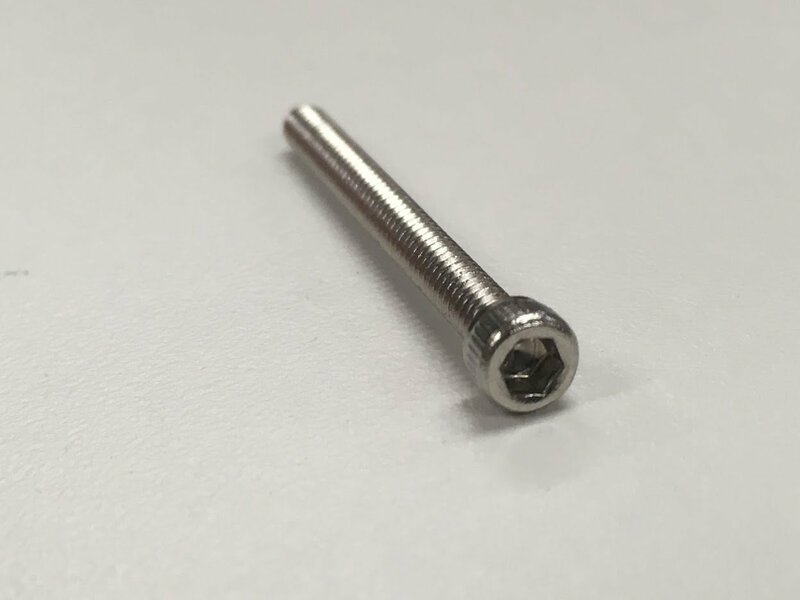 Resonator Spider Bridge / Cone Tension Screw 1.25"
1.25" long Stainless Steel Allen Cap Head Tension Screw for fastening spider bridge to cone. This Allen head cap screw makes it very easy to install & adjust. Plus it's stainless steel (won't corrode). It's a nice upgrade that needs no modifying. To be carefully hand tightened snug. Fits all Quarterman cones, except model QD-2.